Smith, F. A., Weakly, E. C., 1968. Groundwater Data, Polk County, Nebraska (WSP-22): 40 pp., size 8.5" x 11". Smith, F. A., Weakly, E. C., 1968. 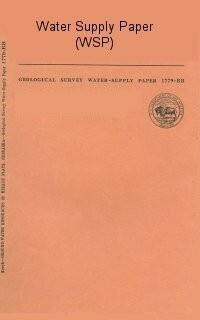 Groundwater Data, Polk County, Nebraska (WSP-22): 40 pp., size 8.5" x 11". Description: Polk County is in east-central Nebraska in the Platte River basin and the upper part of the Big Blue River basin. This report presents basic hydrogeologic data collected during an investigation of the groundwater resources of the county. It includes descriptions of samples taken from a water-level observation well drilled in 1959, descriptions of irrigation and municipal wells, and records of depths to water in 53 wells. Chemical analyses of water from nine wells are included in this report.